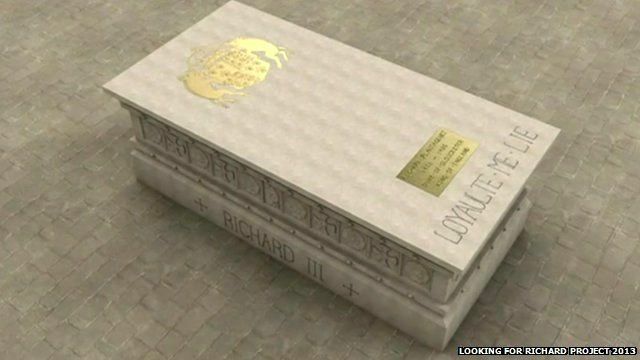 A design for royal afterlife Jump to media player An enthusiasts' group has designed a tomb for Richard III whose remains were found in a Leicester car park recently. 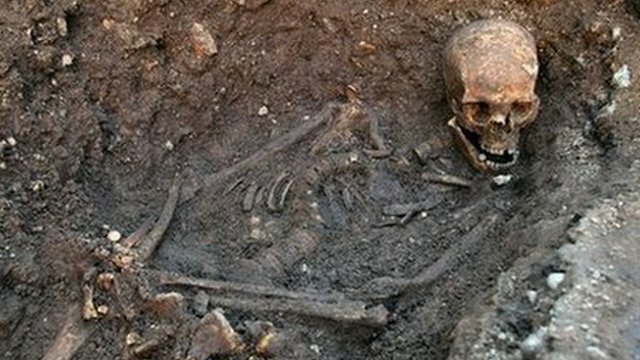 'The individual is Richard III' Jump to media player A skeleton found beneath a Leicester car park has been confirmed as that of English king Richard III. 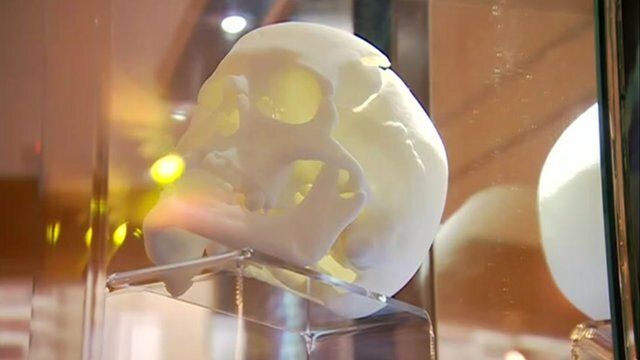 Richard III's skull replicated Jump to media player An exhibition about the archaeological dig which found the skeleton of Richard III features a replica of the king's skull. A design for Richard III's tomb has been unveiled by an enthusiasts' group. The Richard III Society said the 7ft (2.1m) long limestone monument would blend modern and medieval style decorations to reflect the king's life. The group was closely involved in the project to find the lost king's remains, which was confirmed last week.